Another busy day full of training from sunrise to past sunset, so I started looking again at old negatives. 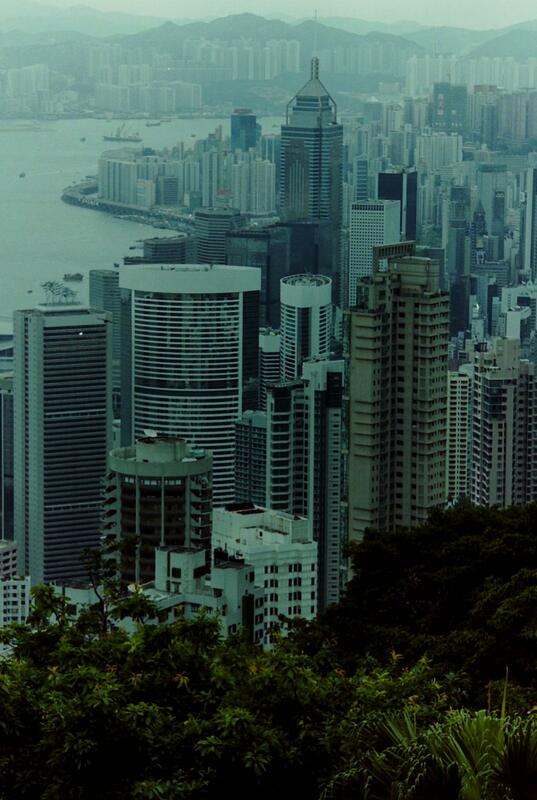 As with my last 35mm posting, keeping in Hong Kong, todays image was shot somewhere up Victoria Peak. At 552m high, I think this makes it Hong Kong’s second highest point. Taken on the Minolta Dynax 700si, I scanned and resized image for net – otherwise untouched. It was summer time when I visited Hong Kong, so likely the hazyness is from the heat and humidity. An amazing view over an amazing city.